Neodymium magnets have application on water purifier too. Nowadays, the Sintered Neodymium Magnet and Ferrite Magnet can be used for making water purifier which plays important role in human daily life. 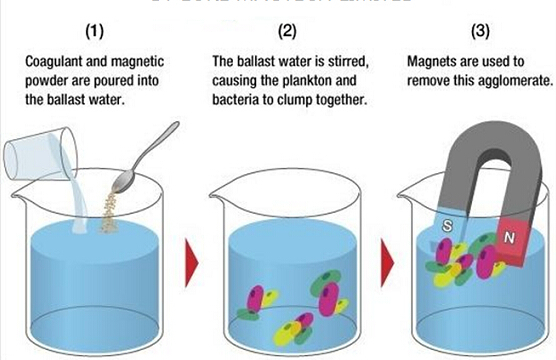 How does the Magnetic Water Treatment works? The water with a uniformity velocity cutting magnetic lines to make the molecules, ions gained magnetic energy deformation occurs, undermining its ability to scale, magnetized water as cooling water pipes can fouling plasma calcium and magnesium become loose residue with water loss, to achieve the prevention and removal of scale effects generated scale. Water treatment uses tremendous energy of NdFeB rare earth permanent magnet materials. 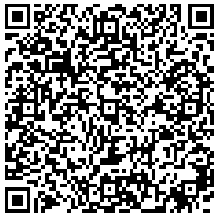 optimized the product design, the formation of multi-peak vertical center field. When the fluid of water to ≥ 1.5 m / sec or vertical flow through the magnetic field, it will generate an electromotive force the lattice thinning, i.e., the raw water from the original scale of the grain particle size of about 3.39 microns to about 0.22 microns into, and the flow rate of the more fast speed, the greater the force generated effects are more desirable to achieve the scaling, cleaning purposes.While water flows through a magnetic field, the magnetic field does not leak, so that the conductivity, osmotic changes, microbial cells rupture, cells stop breeding to achieve sterilization. If you need any kind of magnetic water treatment or magnet for water purifier, please feel free to contact us at sales@omagnet.com, we must supply the suitable product for you. 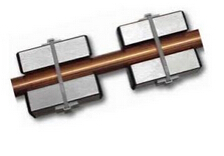 Of course, ndfeb magnets' application are wide like magnets for motors, etc.